There’s something very stylish and very enjoyable about a white brick wall, whether it’s in the context of a bedroom, a living room or any other space. The concept is refreshingly simply and has a Scandinavian vibe which results in some really beautiful and timeless decors. Whether it’s just one wall or all of them, you can always consider them an important design feature and even compile the whole interior decor around them and the vibe they create. 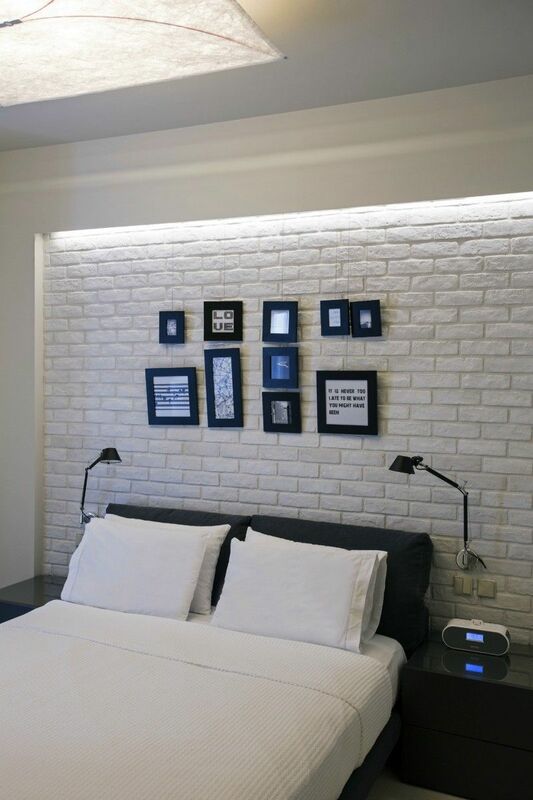 The white brick wall in this bedroom has this cool worn look which gives it a lot of character. The furniture in the room and even the floor are white which creates a very crisp and pure look. The accent colors are pastels and that gives the room a casual and relaxing appearance. Check out atelierrueverte for more images of this place. 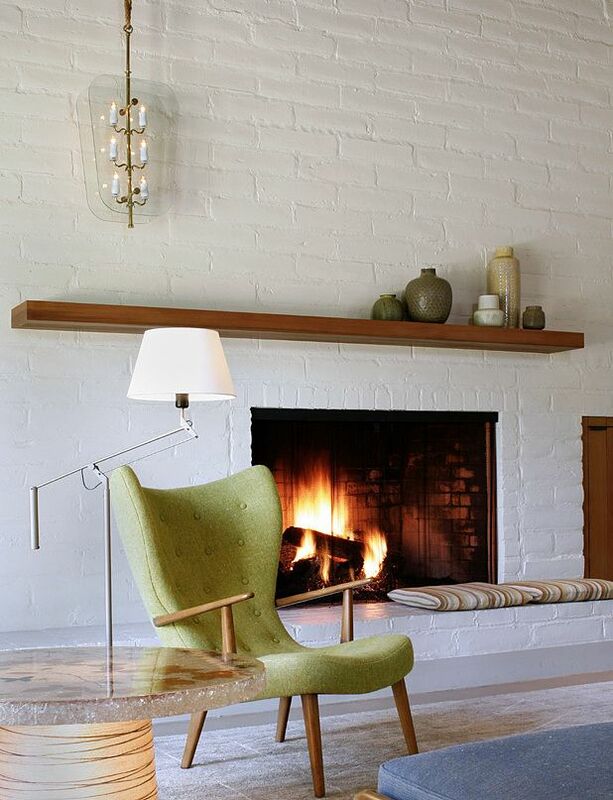 In the case of this house designed by Charles DeLisle the role of the white brick wall is to frame the fireplace and to create a cozy and at the same time serene and fresh vibe. It does all that and more and it’s amazing how something so simple can have such an impact on a space. Brick walls, in general, are appreciated for the texture they add so a nice idea is to highlight this detail by installing LED light strips or placing sconces and lamps in key areas in order to control the way in which the light and shadows interact with the white brick wall. You can see that exemplified in this bedroom by Studio NL Architecture and Design. 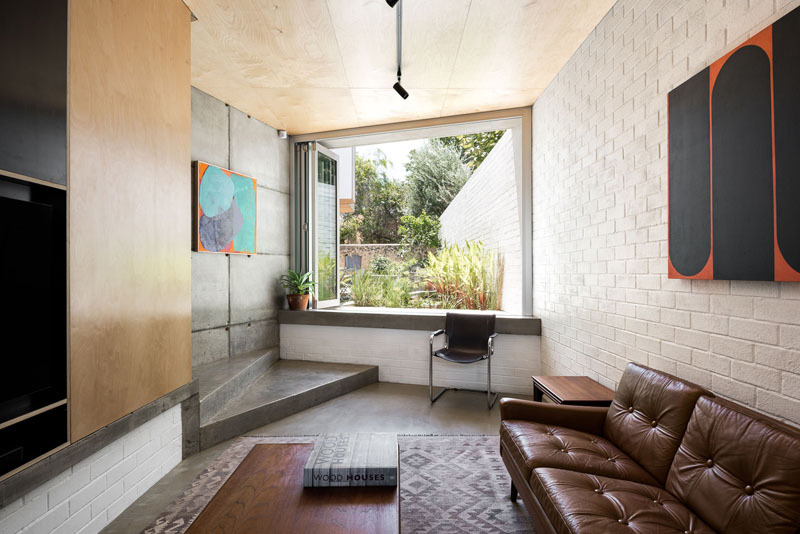 Brick walls, whether painted or not, have this natural ability of making spaces look and feel welcoming and cozy. This results in some very efficient interior design strategies which come in handy when dealing with a variety of spaces such as dining rooms and kitchens. 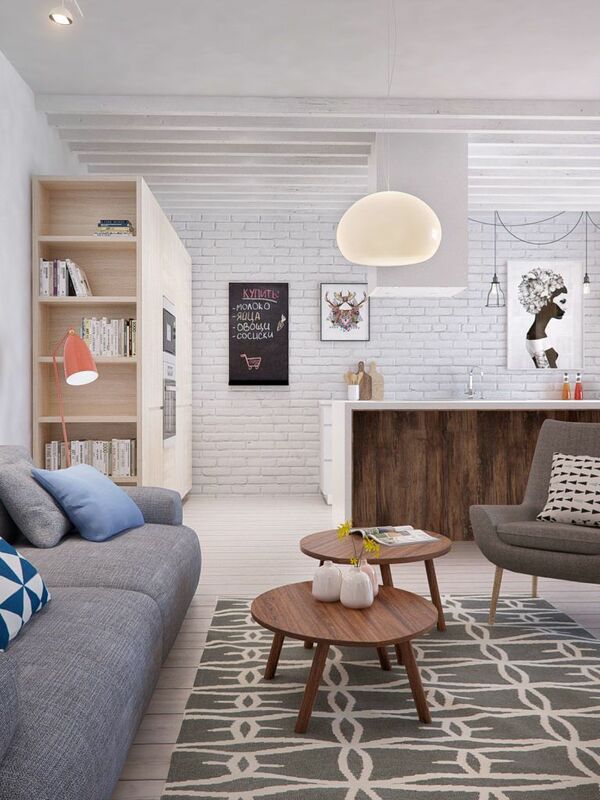 This project by Olga Akulova Design can be a great source of inspiration. The white brick walls in this apartment designed by Soma Architekci bring balance to the space, contrasting with the warm wood furniture, dark flooring and overall opaque color palette featured throughout the rooms. The same type of walls is also featured in the bedroom. 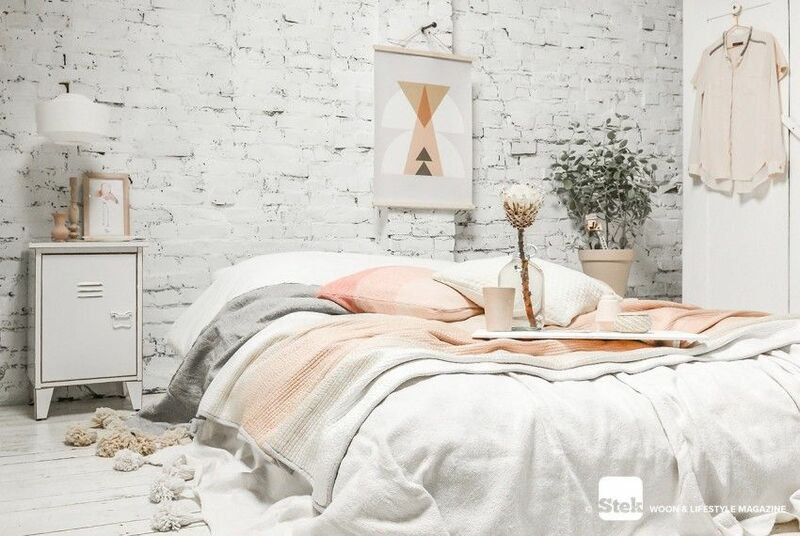 As versatile and as simple white brick walls are, they can still give a rustic look to a space so if you want to maintain a modern appearance a single accent wall covered in white-painted bricks would be enough. Let this elegant interior designed by INT2 architecture inspire you. 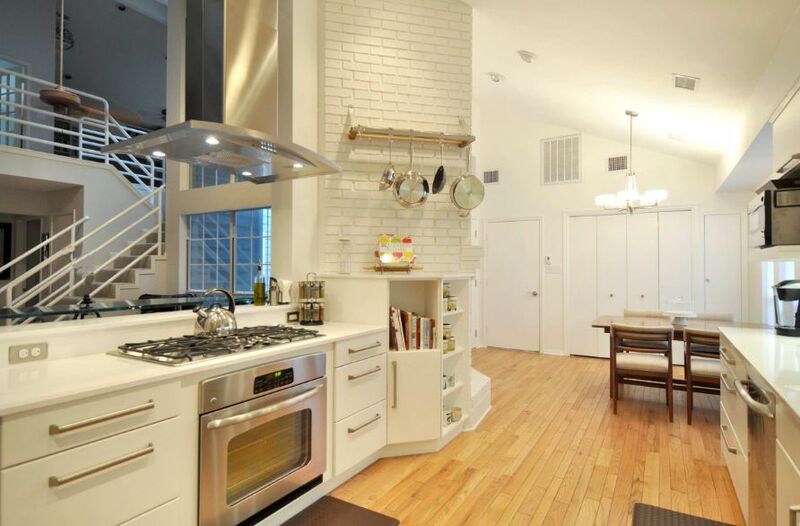 White brick walls are the perfect tool for making a monochromatic or neutral-colored space look inviting. 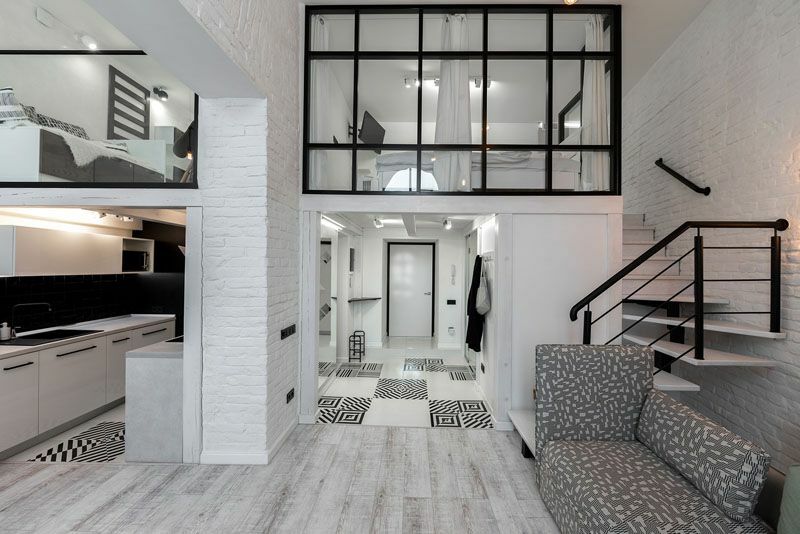 A great example which supports this idea is this apartment designed by O.M.Shumelda. It’s all just a black and white space which gives it a timeless and elegant look. 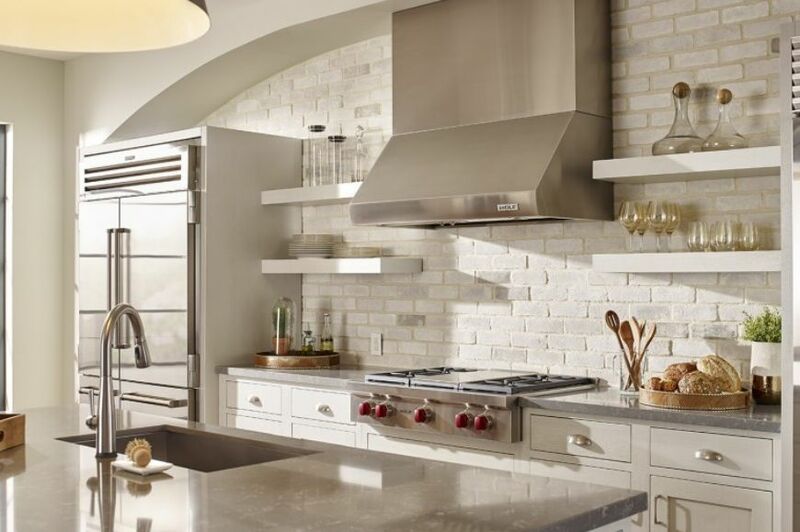 A white brick wall can look excellent in a kitchen where creating a warm and cozy vibe is usually challenging. This can even be the backsplash. A few slender open shelves installed on the wall would complement the look nicely without covering up the wall. 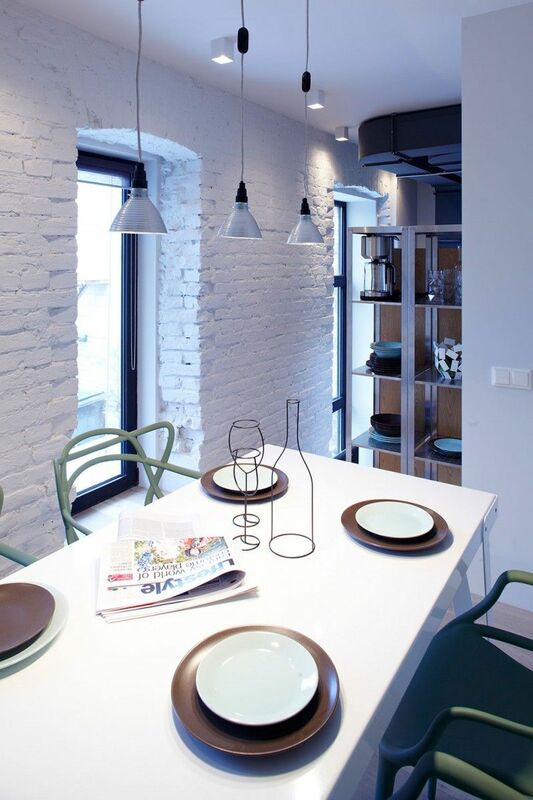 White brick walls are super versatile and one of the reasons is the fact that they have an irregular surface which gives them a unique and distinguishable texture that makes color unnecessary, hence the perfect pairing with matte white paint. 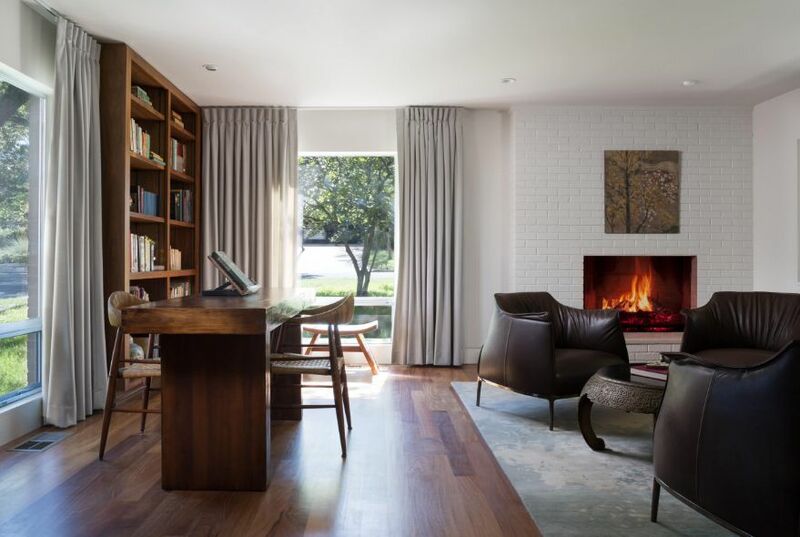 This cozy living room designed by Whiting Architects proves our point perfectly. White brick walls are an ideal choice for breezy beach houses and coastal homes. They make spaces look and feel super inviting and they also maintain a bright and airy look which is key in these cases. One of our favorite projects which depict this idea is this gorgeous space designed by Chelsea Lauren Interiors. 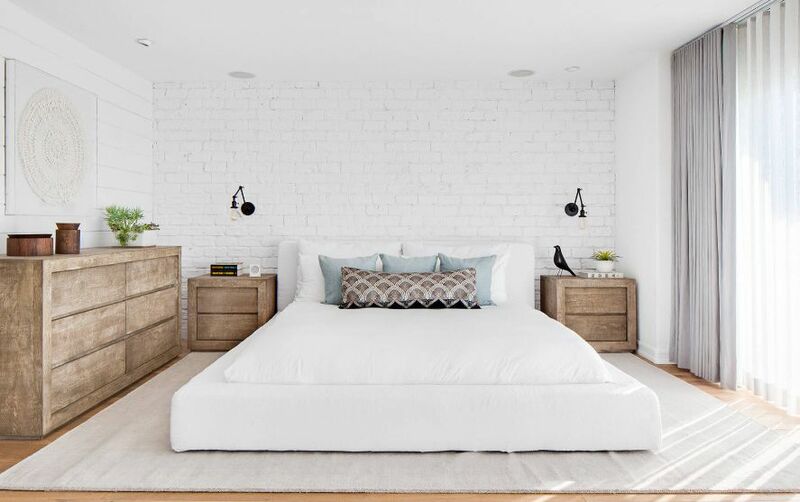 There’s something very soothing about a white brick wall, something that makes it perfect for areas such as the bedroom where texture usually plays an important role. Hang some string lights and display some artwork on the walls and enjoy the calm and breezy atmosphere. If you like the idea of a white brick wall but you don’t want to let it define your interior design, consider a white brick fireplace surround. It would look charming and timeless and it will stand out in a subtle manner. Also, this lets you keep the walls neutral for a minimalist, contemporary look. This living room interior by Laura Roberts Design is a good source of inspiration. Not all brick walls have that irregular, worn look reminiscent of old rustic houses. 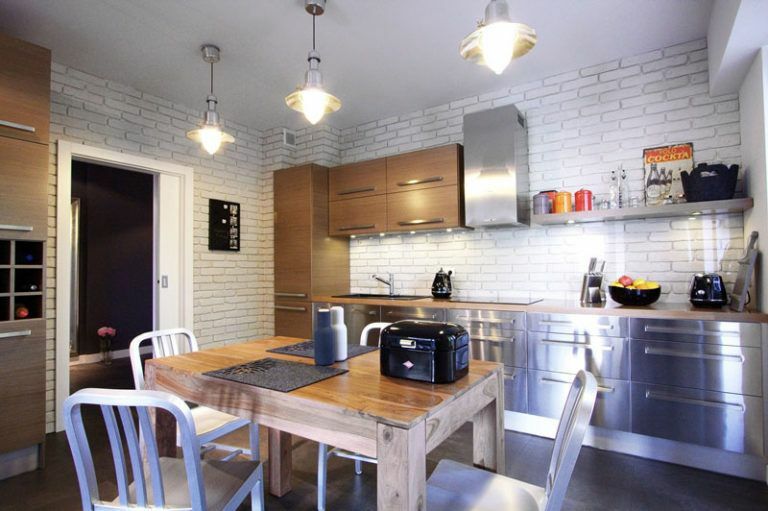 The clean and modern version of that looks a bit similar to subway tiles and has a similar effect of a space. This is the interior of a residence designed by studio EHDO. 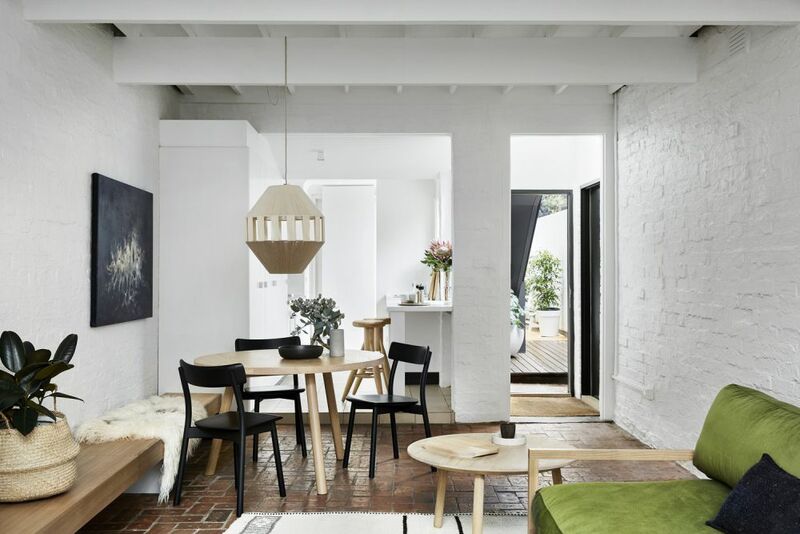 As you can see, a white brick wall has lots of potential and one of the scenarios we’d like to put an emphasis in is featured in the design created by MODO Architecture for a house located in Melbourne. 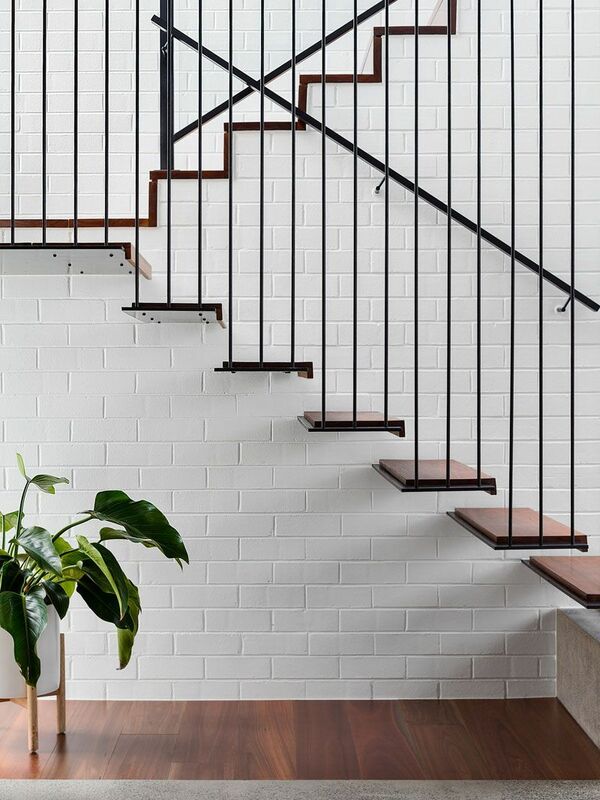 In this scenario a floating staircase has this very chic white brick wall backdrop which looks simply gorgeous. Brick fireplaces are pretty common and while they may not look very modern at first, a quick makeover can change everything. Apply a few coats of white paint and cover up the bricks and the fireplace will look brand new and amazing. This is a great way to refresh an old fireplace surround without breaking the budget and without making any sort of structural changes. 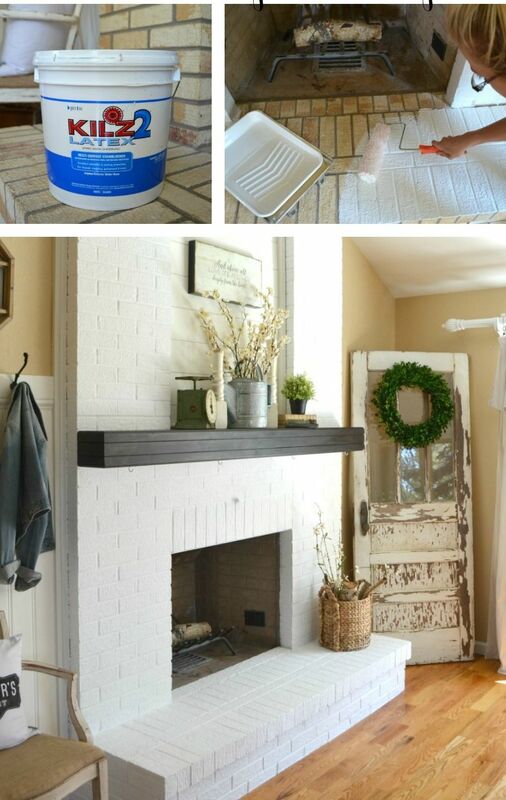 If this is something you’re interested in you can check out sarahjoyblog to find out how to paint a brick fireplace.